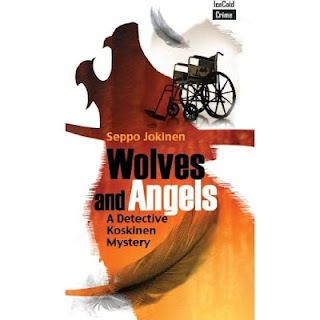 I finally got my hands on a digital copy of mari Jungstedt's The Dead of Summer (courtesy of Netgalley) and also received a new Finnish crime novel (new to English) courtesy of the Ice Cold Crime publishing company: Seppo Jokinen's Wolves and Angels. They're both police procedurals, but are quite different from each other. 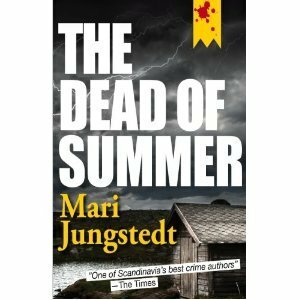 Jungstedt's series featuring Anders Knutas, head of the Gotland detective squad, is unusual in several respects (in comparison to other crime series). One is the setting: the vacation island off the coast of Sweden, and in particular the medieval city of Visby. 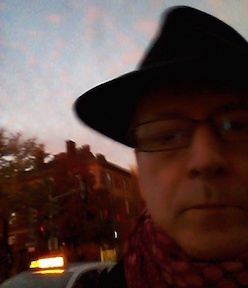 But the most interesting quality of the series is that it reads like one continuous narrative, particularly in terms of a strong set of plotlines concerning secondary characters, the reporter Johann Berg and his on-again-off-again relationship with a witness from the first novel in the series, Emma Winarven. At the point where The Dead of Summer begins, Johan has been expelled from Emma's life except for the occasional hand-off of their child. Another secondary character in the series is Karin Jacobssen, Knutas's most competent detective and now his assistant in the department. Karin has been a bit of a cipher in the series, but here she gets more time in the foreground and we find out a bit more about her own background (as well as, in the conclusion, her character). Though there is indeed a dragon-tattooish female character in this and other books in the series, a young photographer who works with Johan, Karin provides a more realistic portrait of a woman crime-fighter in Sweden today, as well as being a complex character in her own right. There are several plotlines in The Dead of Summer, including Karin's first chance to head up an investigation (Knutas is away in his wife's native Denmark on vacation), when a camper on the Gotland coast is shot to death. Knutas, to Karin's dismay, has trouble staying away. There's a backstory concerning a German family decades before whose vacation on Gotland is disrupted by violence. And then there's Johan and Emma. A reader will figure out how these plotlines come together long before they actually do, but the identity of the perpetrator and the final outcome of the investigation are more interesting and well worth pursuing to the end of the book. Jokinen's story is also unusual in a couple of respects. The series features Detective Sakari Koskinen, head of the detective squad in Tampere (one of Finland's larger cities). Wolves and Angels isn't the first of the series, but is the first to make it into English. Koskinen's detectives are individually characterized in interesting way, but it's Koskinen himself who is the main focus and the most interesting character. After his divorce, he has dedicated himself (become obsessed, even) with exercize, particularly running and cycling, and he takes a lot of ribbing from his puzzled cohorts about the obsession. But he's also very quick to anger, and having trouble controlling his temper. The story is also a bit unusual, beginning with the first victim: a paraplegic but runs with a "gang" of wheelchair bound "fallen angels." There's a lot of interesting material about people living in an assisted living facility (and their lives are not whitewashed in terms of their disabilities or their personalities). Koskinen makes slow progress through another murder and a disappearance, fighting resistance from one stubborn and outspoken detective as well as several other colleagues whose attitudes Koskinen is having trouble figuring out or dealing with. There's an earnestness about the dialogue among the cops, in spite of their various attempts at levity, that seems particularly characteristic of nordic noir: these writers take their social milieux very seriously. But Jokinen is never preachy and his characters and his plot are always believable. And in this case, it's not only the Finnish setting that is "another country" for most readers, there's also the world of those having difficulty with the physical management of their daily lives.